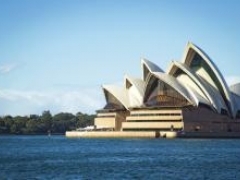 Upon arrival to airport transfer to hotel, free time at leisure to explore the “Largest city in Australia”, best known for its Opera House, massive Darling Harbour and Circular Quay are hubs of waterside life, with the towering, arched Harbour Bridge and esteemed Royal Botanic Gardens. Today, is you free time to explore the city or join any optional tour. Free day at leisure till the transfer to the airport for your flight back home.